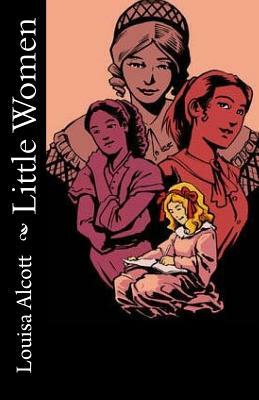 Josephine March and her three sisters Margaret, Amy, and Beth grow up with their mother's guidance while their father fights in the American Civil War. The vivacious quartet are very close and happy despite limited means. Laurie Laurence, the well off boy next door, takes a liking to Jo, and his tutor John Brooke eyes older sister Margaret during a party. Margaret marries Mr. Brooke but Jo rejects Laurie's proposal and moves to New York for new adventures. When Beth starts to lose her battle with Scarlet Fever Jo returns to her deathbed. Sister Amy returns married to Jo's one true love, Laurie, and we wonder if she will ever find someone to replace him.